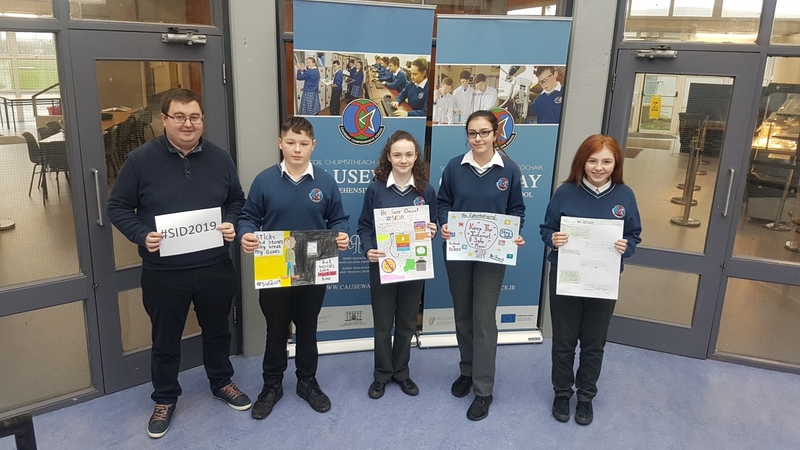 Celebrating Safer Internet Day 2019 with a poster competition for all first year Digital Media Literacy students. The theme of the poster competition was to raise awareness of the issue of cyber-bullying and to promote safer internet use. The winners were Jayda Kahraman (J1A), Ava Cronin (J1B), Cathal Enright (J1C) and Ciara Flahive (J1D).